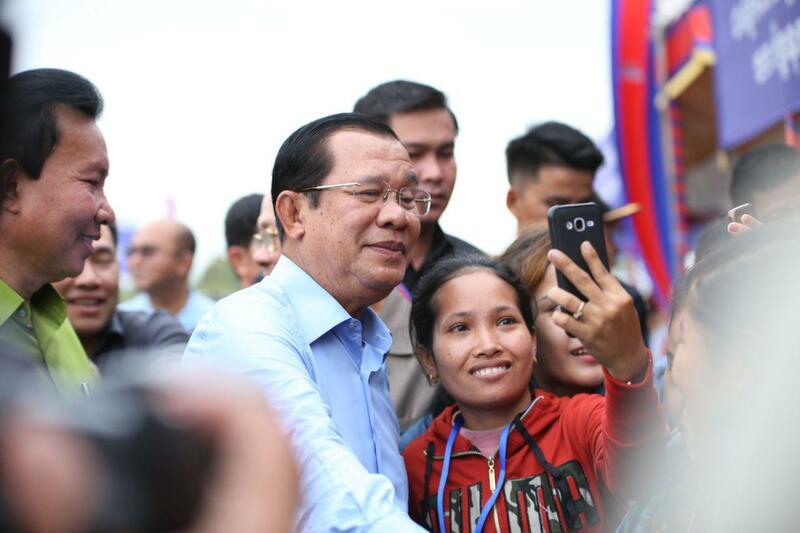 Takeo (FN), Nov. 7 – Cambodian Prime Minister Hun Sen asked the Ministry of Justice and the Ministry of Labor and Vocational Training to examine the legal cases of union leaders, either the cases be dropped or hurriedly sentenced, addressing to 23,466 workers from 20 factories in Takeo province on Wednesday. 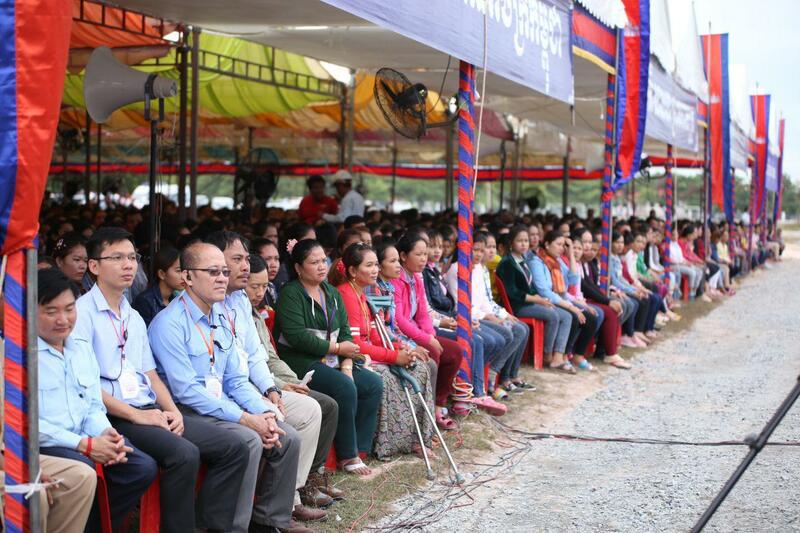 Prime Minister urged all the parties – workers, unions, employers – to negotiate and exchange dialogues based on solidary and mutual understanding principles to settle labor issues rather than submit complaints against one another. 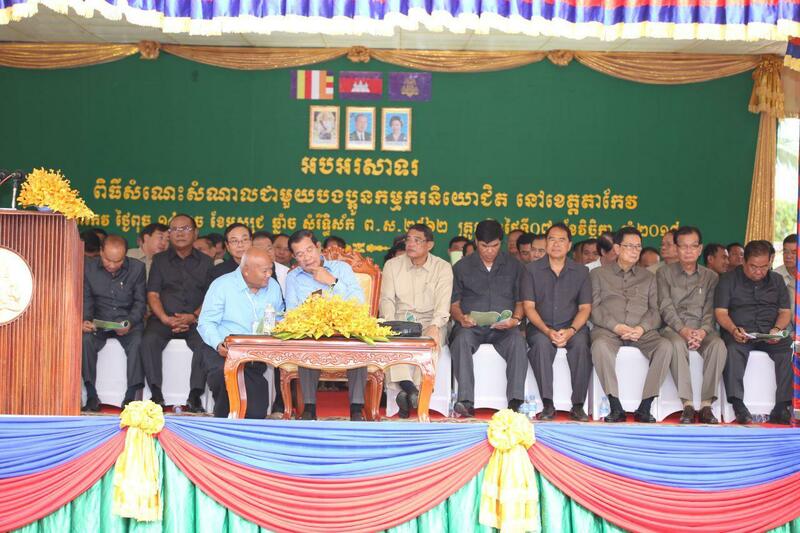 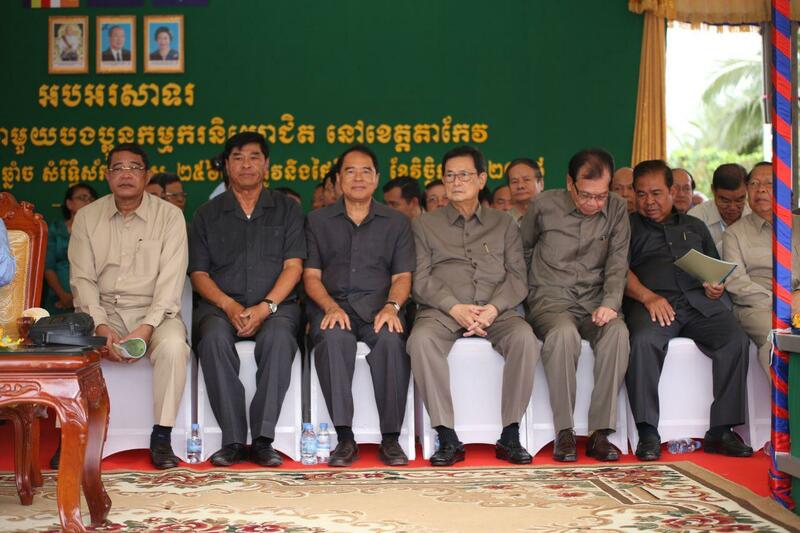 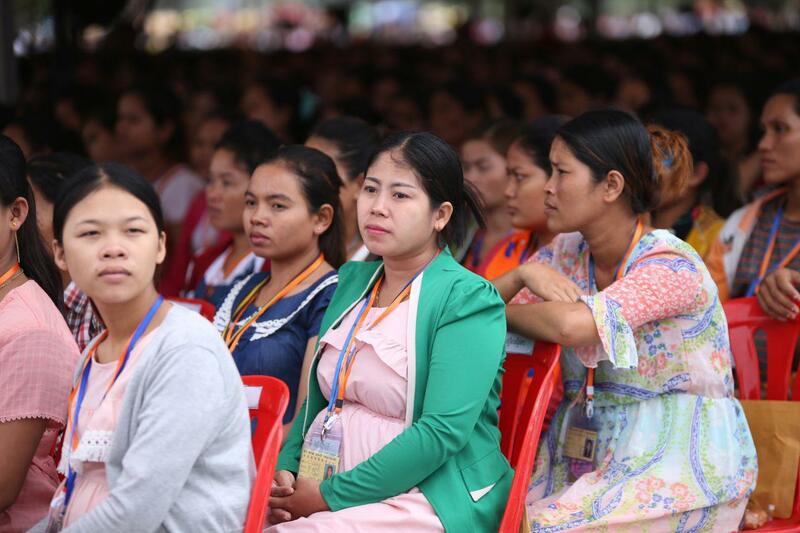 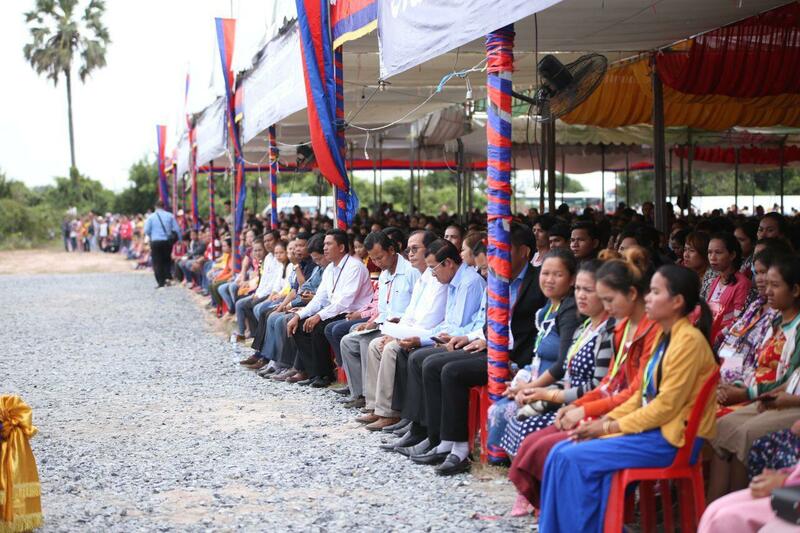 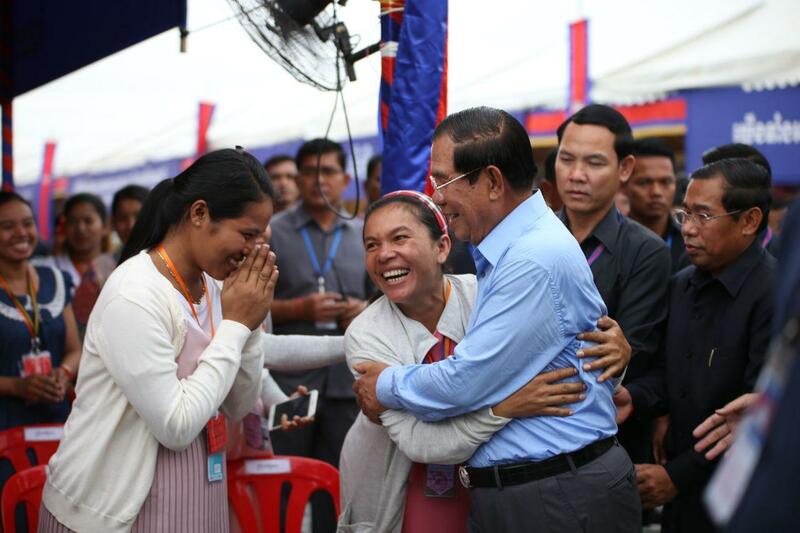 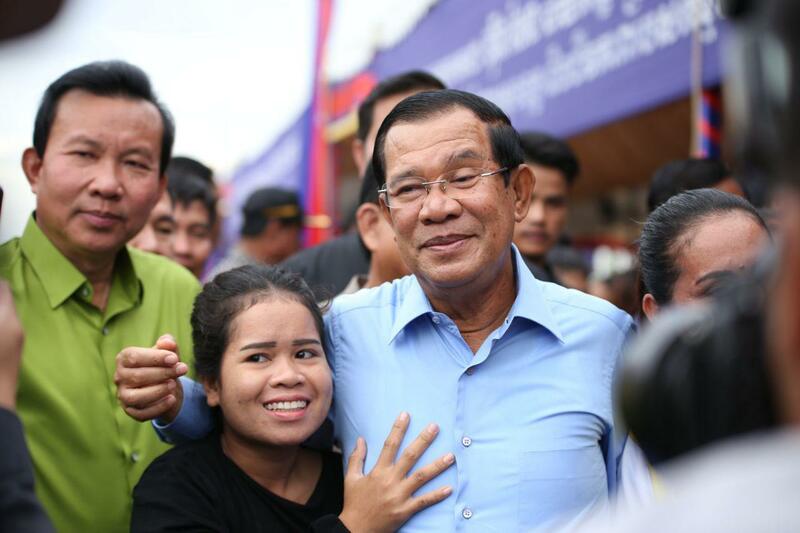 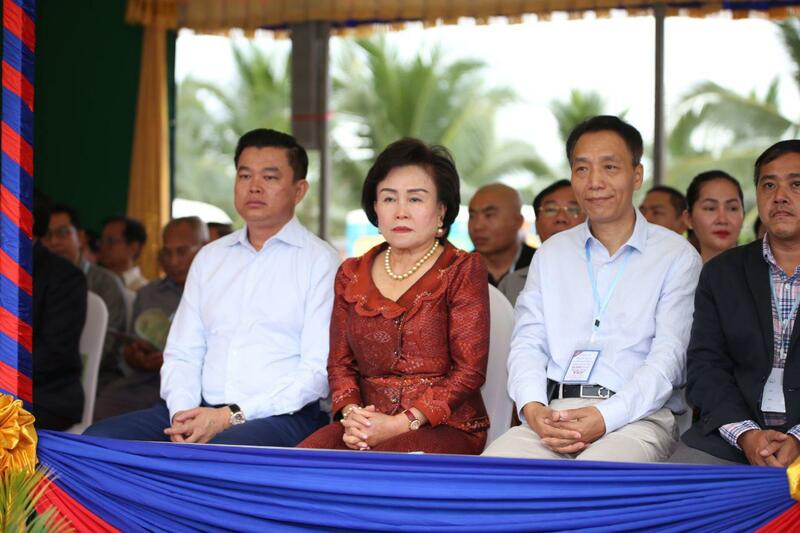 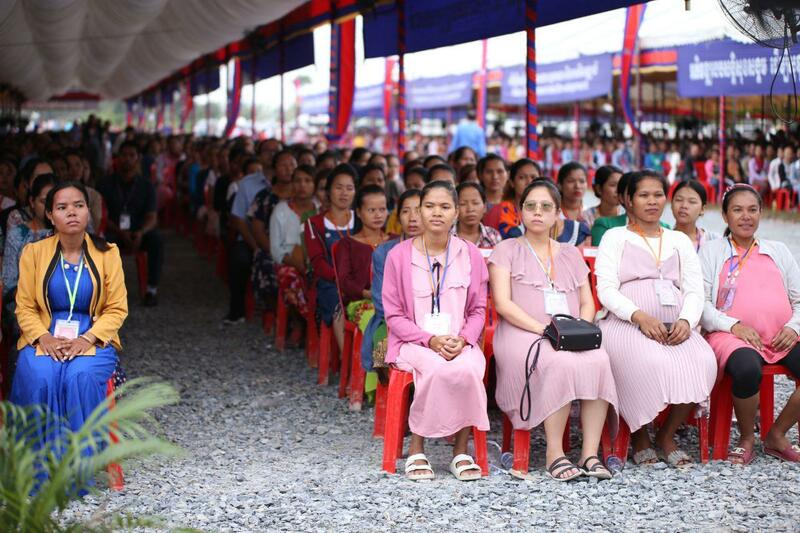 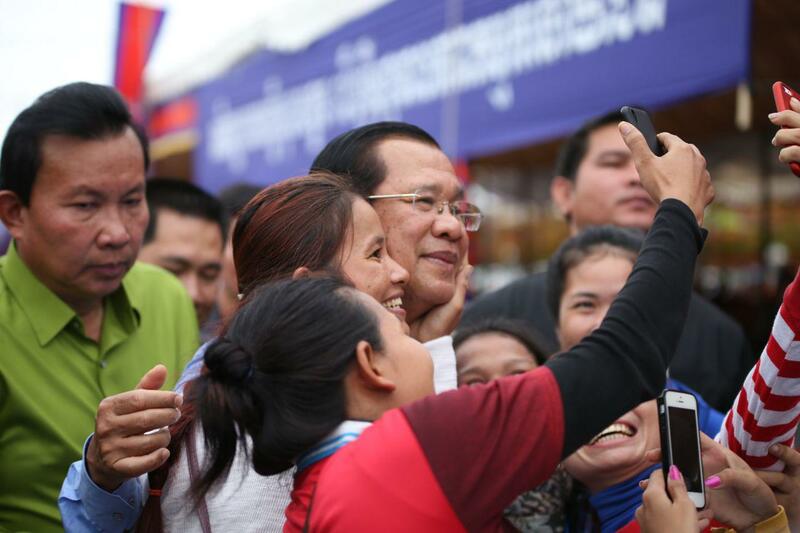 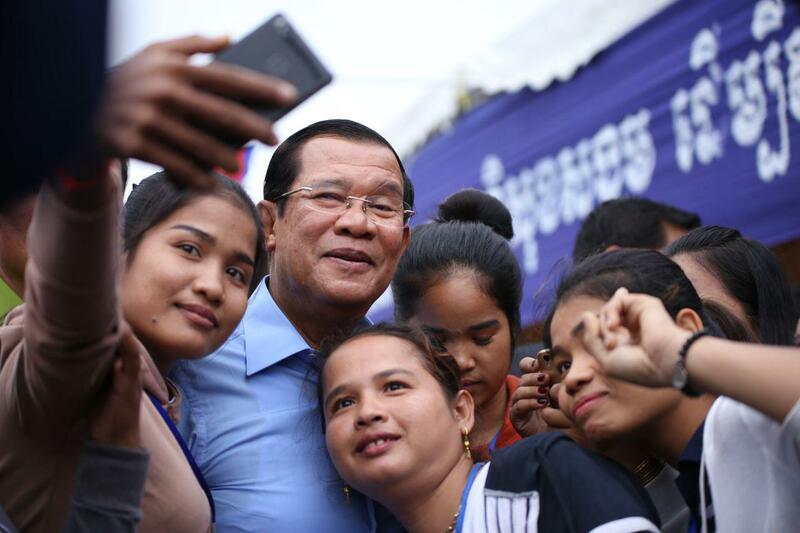 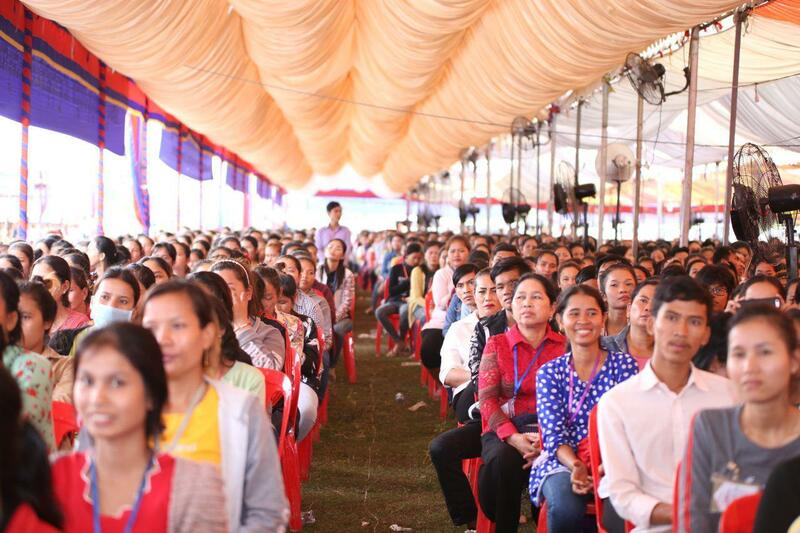 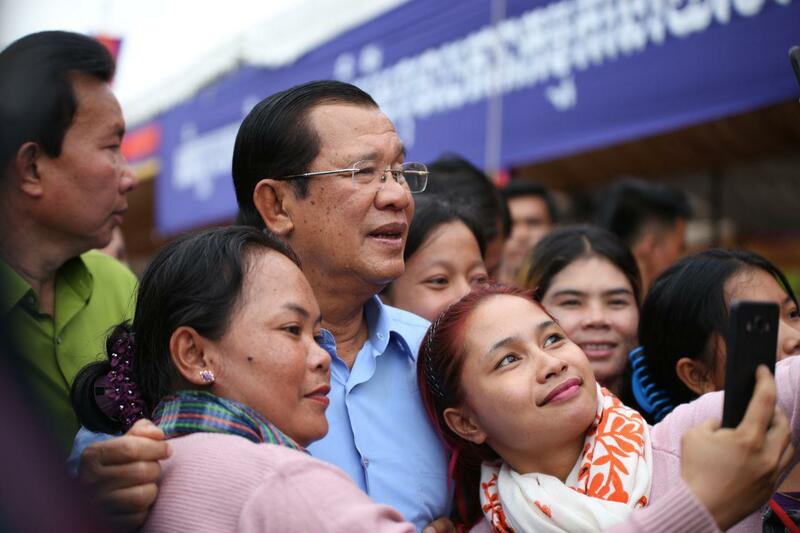 The premier considered “the drop of union leaders’ complaints” promotes freedom of workers and unions in Cambodia. 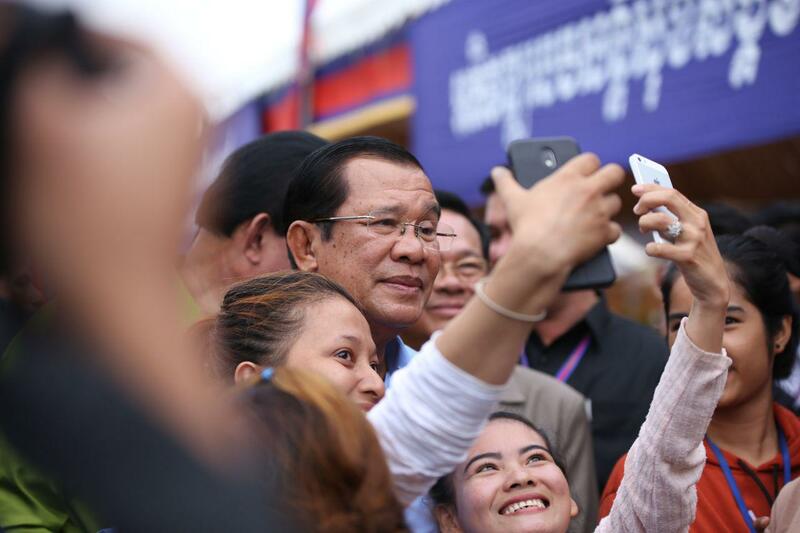 Cambodia implements rule of law; criminal offenses are the violations and thus subjects to sentencing, Prime Minister stated adding that court could not drop charges for those who commit criminal offenses and do not accuse the government of violating freedom of unions or pressures against NGOs for implementing Cambodian laws. 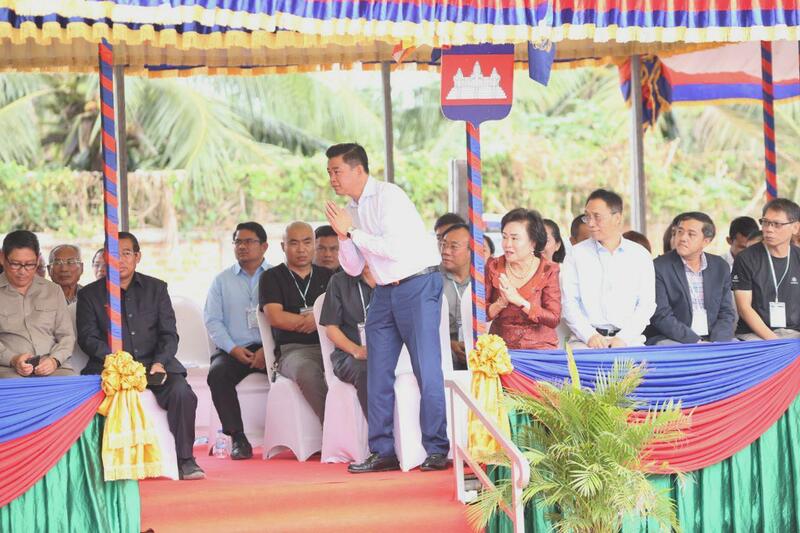 He also told workers to be wary of wage protests, and avoid having groups of gangs causing insecurity problems in the factories. 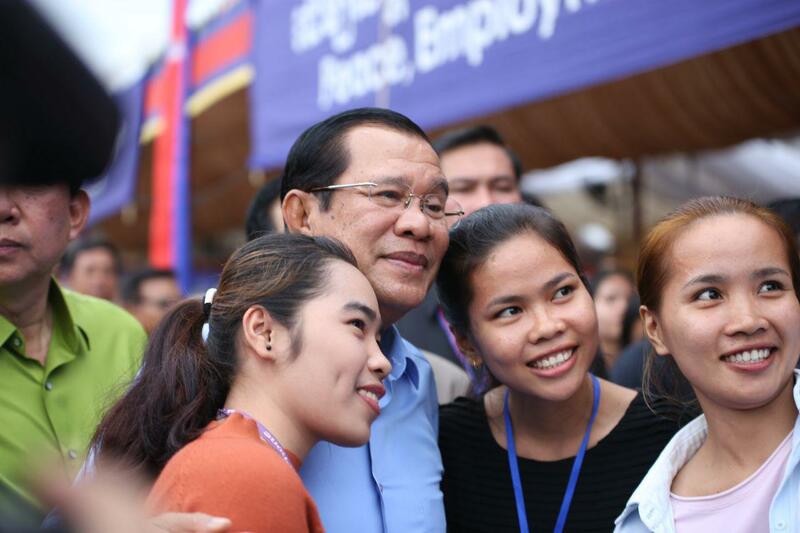 High labor cost will turn away investments in Cambodia to other countries. 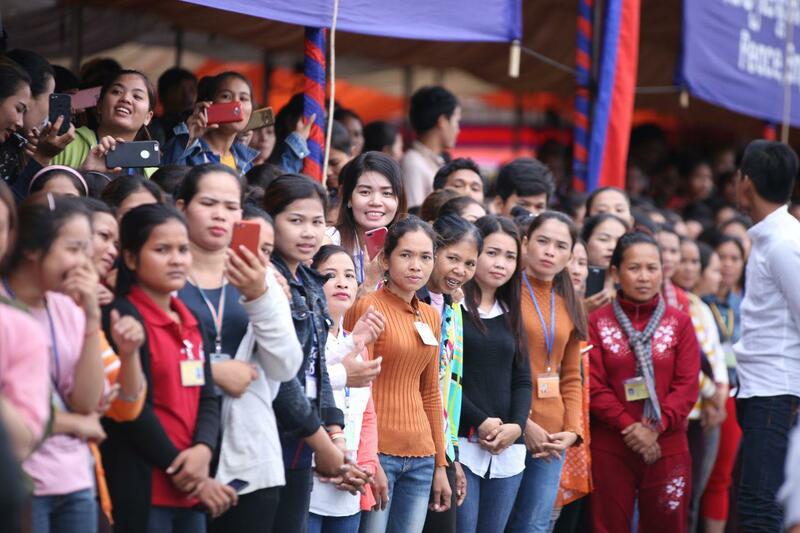 While Cambodia offers a minimum wage of about $170 in 2018, some areas in Vietnam only offers $120 compared to only $110 in Indonesia and Laos.